The National Trust for Scotland (NTS) is appealing for donations to its Footpath Fund in a bid to help repair and protect the 440km of upland path it manages. With eight natural heritage sites under its care, including Ben Lawers, Glencoe, Goatfell, Craigower, Mar Lodge Estate, Torridon and Killiecrankie, the NTS plays a crucial role in protecting Scotland’s natural environment and wildlife. Donating just £25 allows the footpath team to stabilise the edge of a collapsing path, £50 will help implement a drainage solution to four metres of path and £60 will help restore up to 10 metres of path. Controlling erosion is one of the biggest challenges the footpath team face. Scotland’s changeable weather and many thousands of welcome and well placed footprints every year cause erosion to the path network which can become a blight on the landscape and cause irreversible damage to the country’s magnificent mountains. Eschewing machinery and using only spades and shovels, the team uses an extremely light touch along with locally sourced aggregate to form the surface of the path. 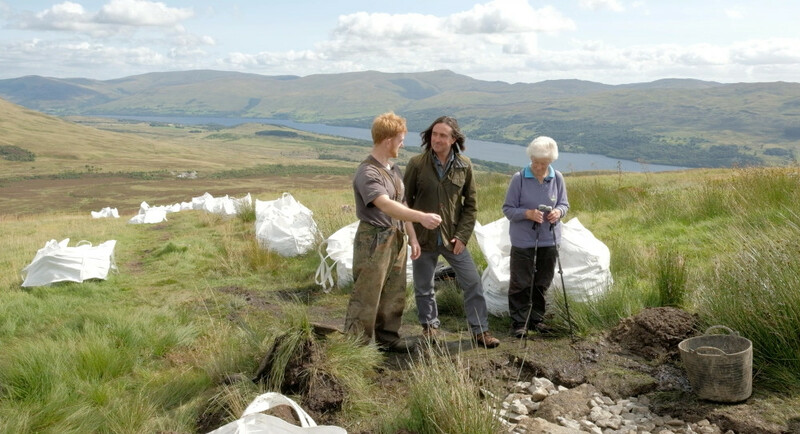 President of the NTS, Neil Oliver, enjoyed a visit to Ben Lawers and the footpath work, along with Munro bagger and regular donor to the charity, Alison Wilson of Perth. The NTS footpath team of four travels the length and breadth of Scotland year-round, maintaining 270 miles of path network, for the 1 million people who visit every year. At Ben Lawers alone there are 187 cross drains, 434 water bars, 944 metres of pitching and 2974 metres of drains, showing at just one site, the scale of maintenance required. To make a donation to the National Trust for Scotland’s Footpath Fund visit the NTS website.